Total loans provided to bank customers, excluding the Central Bank of Egypt, increased by EGP 44 billion in December to stand at EGP 1.802 trillion compared to EGP 1.758 trillion in November, according to the latest report released by the CBE on Thursday. The report said that governmental loans reached EGP 570.5 billion, including EGP 343 billion provided in foreign currency and EGP 227.4 billion in local currency. 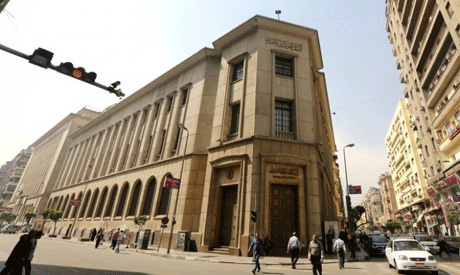 Non-governmental loans rose to EGP 1.231 trillion. EGP 148.9 billion of the non-governmental loans went to the agriculture sector, EGP 268.4 billion to the industrial sector; whereas the commercial sector received EGP 113.8 billion, the report noted. CBE also announced an increase in bank deposits by around EGP 57 billion by the end of December to reach EGP 3.818 trillion compared to EGP 3.761 trillion in November. The total governmental deposits at banks reached EGP 613.6 billion, including 498.2 billion in local currency and around 115 billion in foreign currency, the CBE said in a report, a copy of which was obtained by MENA. The total non-governmental deposits at banks until December hit EGP 3.204 trillion compared to EGP 3.159 trillion in November, added the CBE in its report. The total value of non-governmental deposits in foreign currency reached EGP 751 billion, of which the public business sector had EGP 40.7 billion, the private sector had about EGP one billion and the family sector around EGP 503.5 billion, the report noted.